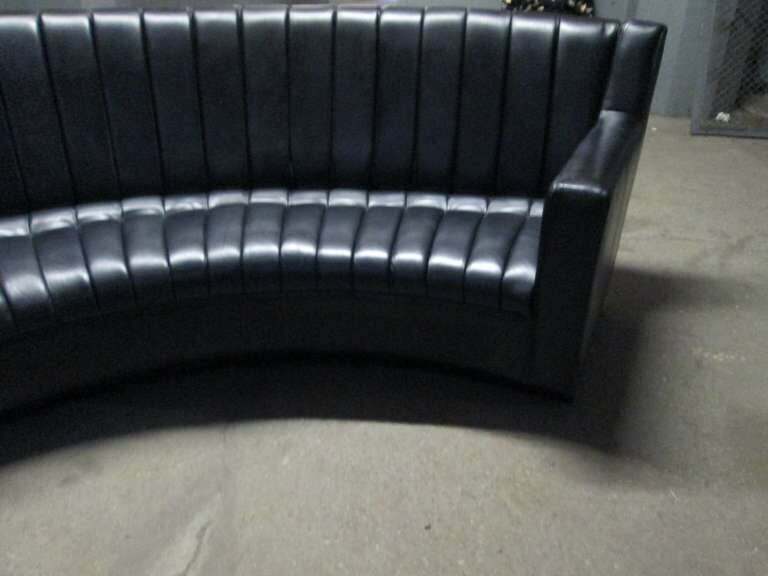 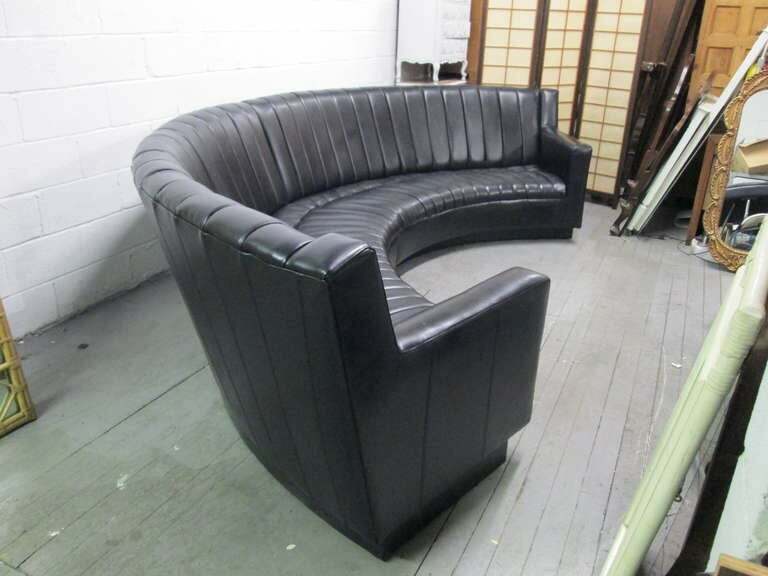 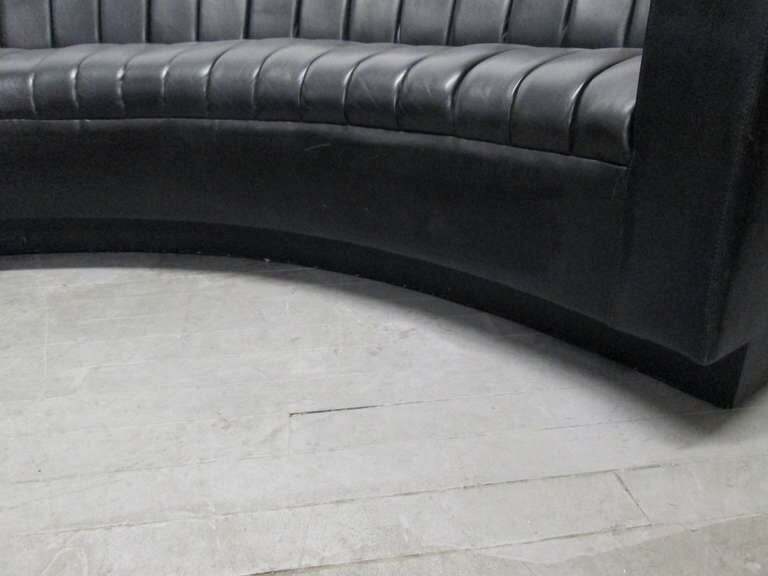 Black leather two-piece sectional sofa designed in the manner of De Sede. 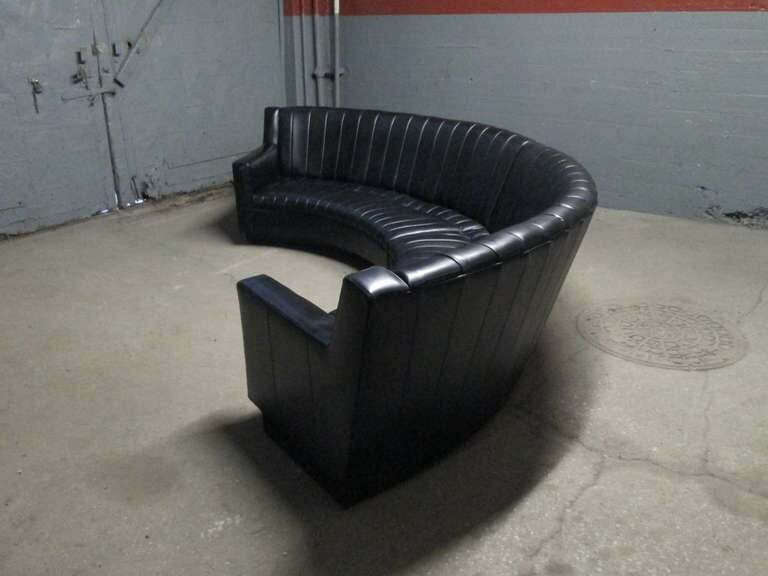 Sofa has lights at the bottom with a formica base. 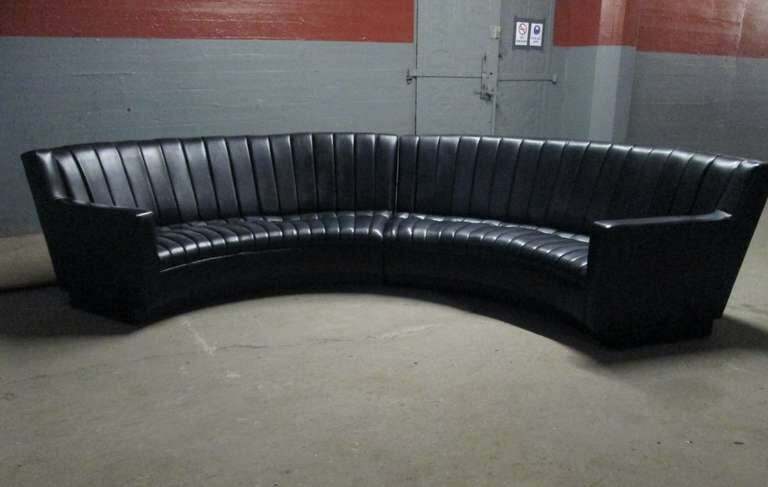 Each sectional measures: 96" W x 37" H x 35" D.
Lights at bottom not tested. 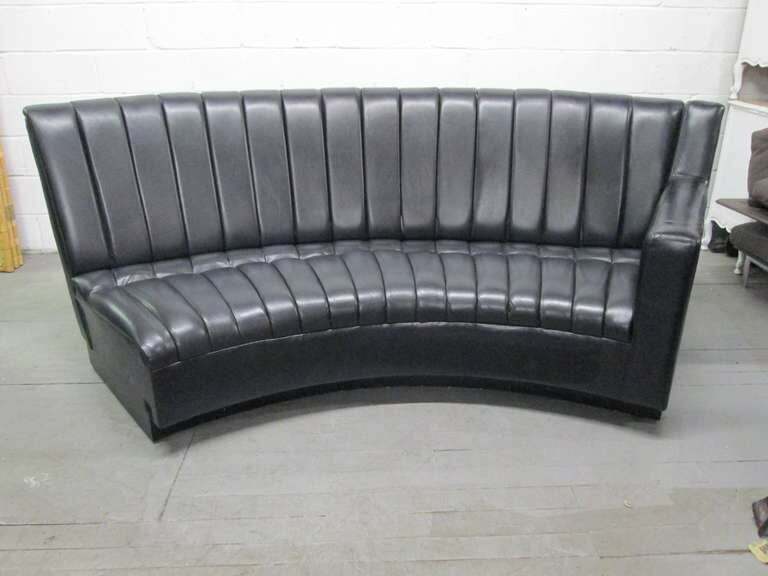 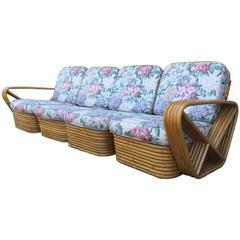 1940s Art Deco Royal Blue, two-piece sofa sectional newly upholstered in blue velvet with maple feet and maple trim under the arms. 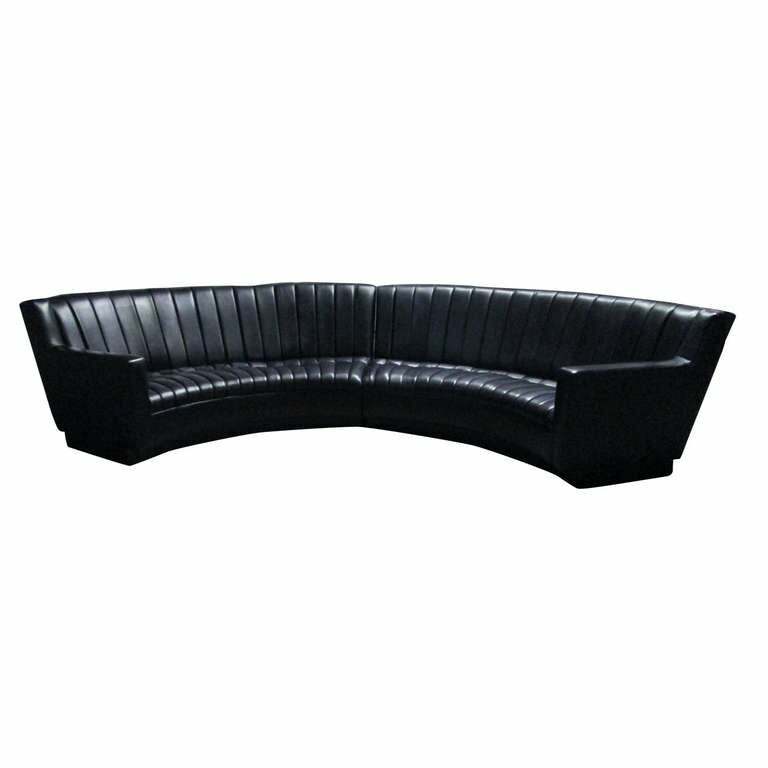 Overall measures (together) 29.5 H x 42 D x 90 W.
Leather Convertible Sofa by De Sede. 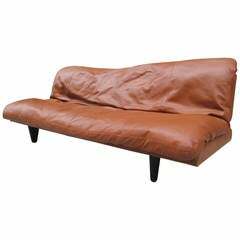 The back slides down to convert into a comfortable bed.